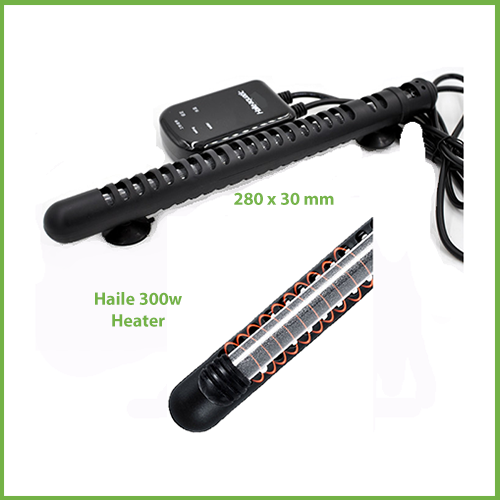 The Haile 300W Dual LCD Heater has an external controller with the temperature control circuit activated by a micro-processor. 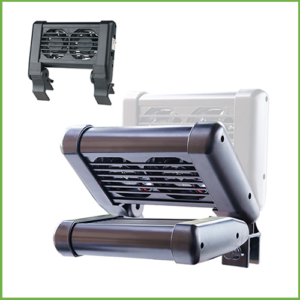 The Haile 300W Dual LCD Heater has an external controller with the temperature control circuit activated by a micro-processor. 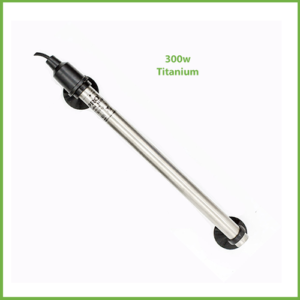 This makes the heater more reliable as the control circuit is not subjected to the aquarium water conditions. There are several protection methods built into the heater. The control circuit monitors the 2 redundant sensors and will switch off if the difference between the two is over 5 degrees Celsius. The display will blink if the temperature is 3 degrees below the set temperature and if the temperature exceeds 3 degrees above the set temperature the micro-processor will automatically cut off heating. 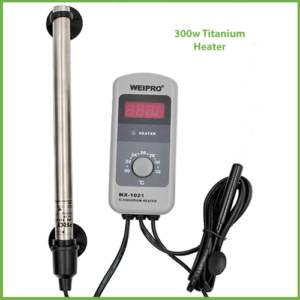 When the heater leaves the water while it is on, the micro-processor will automatically cut off heating. 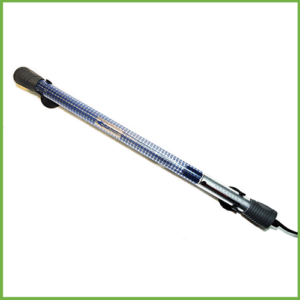 This is a fully submersible heater and it is protected by a hard plastic sleeve which provides extra protection for the fish from the hot surface. Dual LCD display for current and set temperature. 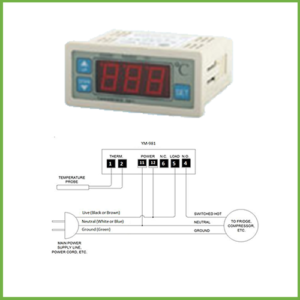 Sensitive and reliable control circuit to maintain consistent temperature. Single setting button for easy adjustments. 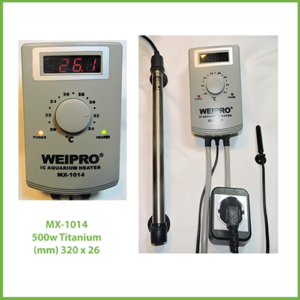 Ideal for freshwater and salt water aquariums.